If you ever run out of live bait on your fishing trip - you may still be able to reel in some bluegill and other sunfish with a little improvising. It seems bluegills will gulp down just about anything. Look in your lunch for some American cheese, white bread or pieces of corn. 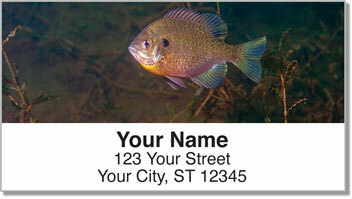 But if you don't have that - these panfish have even been known to bite at a bare hook! 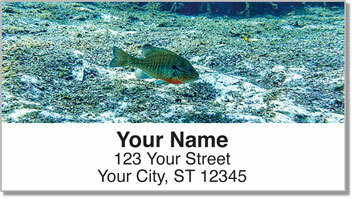 This set of labels features original underwater photography of what you don't see above the surface. 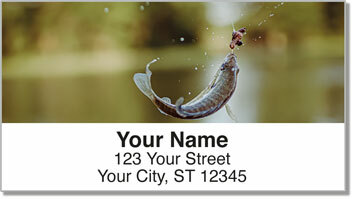 They're a great way for anglers to mark letters and packages. Plus, you'll save a ton of time preparing outgoing mail thanks to the self-adhesive backing. 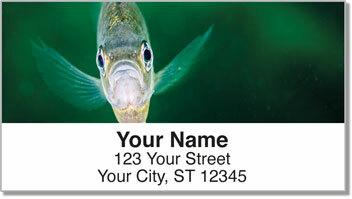 Make our Bluegill Address Labels yours today! Get matching checks to complete your order.